same year on August 25th in Caledon, Ontario. She was the first child on my mother’s direct line to be born in Canada. Her mother Emma was 42 at the time. 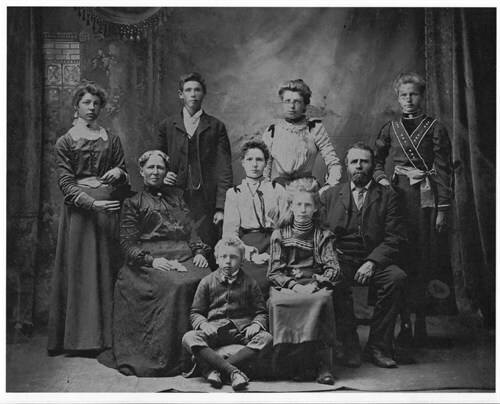 We next find the family living in Moosamin, Saskatchewan by 1895, when their son, Alfred Godfrey Cook, was born. William is recorded in a local history book, Moosamin One: Town and Country, as being one of the “original settlers” between 1882 and 1900 in the Orangeville district of Moosamin. [I have just identified that there is a Saskatchewan homestead file on William, and I will be ordering it and then including the information in a future posting on William]. By my reckoning, they would have come to the area between 1892 and 1895, the year of their youngest son's birth. The family’s homestead address was Section 22, Township 15, Range 31, Meridian 1. The children attended Orangeville School No. 88, N.W.T., N.E. 10-15-3. There is a class picture, dated 1902 in the local history, which includes Faith and Mary Eliza (http://www.ourroots.ca/page.aspx?id=2885401&qryID=1ff9e9ae-02e7-4621-8d1b-a93c2542382f&pageSizeToggle=large). Family lore is that while the family was living in Moosamin, Emma had her own business selling tractors. Emma and her family are still found living in Moosamin in the 1906 Census, but it appears that by 1908, they are living in Winnipeg, Manitoba, the year of William’s death. He is described on his death certificate as “retired”. Depicted above are, back row, Martha, Samuel, Lily and Faith; middle row, Emma, Clara and William; and front row, Albert Godfrey and Mary Eliza (as far as I can tell). Missing from the photo are Arthur and Edward. I estimate that the photo may have been taken about 1906. 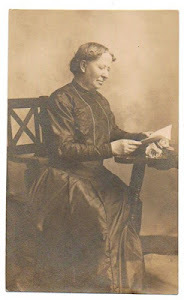 We next find the widowed Emma, age 62, operating her own boarding house on Venables Street in Vancouver, British Columbia in 1911. It appears that the family has followed the daughter Lily Elizabeth Newton Cook, now Mrs. Henry Edward (Harry) Arnold, to Vancouver. Lily and Harry are found living there in 1907, where Harry is working as a journeyman printer. His father and brother have been living in Vancouver since 1900. 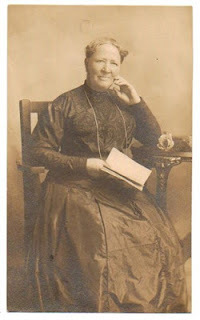 Living with Emma in her boarding house include Faith, her husband Herbert Saunders, their baby daughter Clara, Edward William, Samuel, Mary Eliza, and Alfred Godfrey. Clara Matilda Cook, now Mrs. Moran is living in Qu’Appelle, Saskatchewan, and Martha Annie Wheatly Cook, now Mrs. Druitt, is living in Manitoba. I can find nothing about Arthur Wilson Cook after 1906. He is one of those mysteries I am hoping to solve. In 1912, Emma is living at 733 West Broadway in Vancouver, where she has her own bakery, the “English Home Bakery”. By 1913, she is back operating a boarding house at 735 West Broadway. Her children Edward William and Mary Eliza are still living with her. 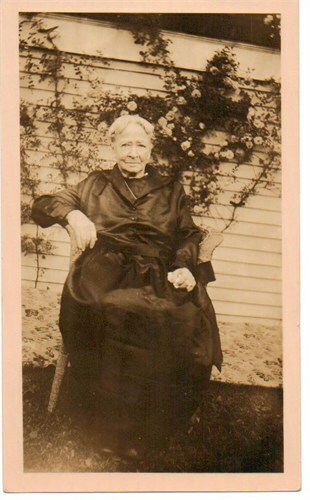 In 1914 and 1915, she is living with Mary Eliza at 877 Hornby Street. As of 1916, she is living with the now married Mary Eliza and her husband William Foster in Winnipeg, Manitoba. Emma does not appear again in the Vancouver city directories until 1927, when she is living with her daughter Faith and son-in-law Herbert until her death on August 29, 1930 of “acute indigestion” and “general debility”. Emma is buried in the Ocean View Burial Park in Burnaby, British Columbia, where her children, Faith Saunders and Mary Eliza Foster are also buried.